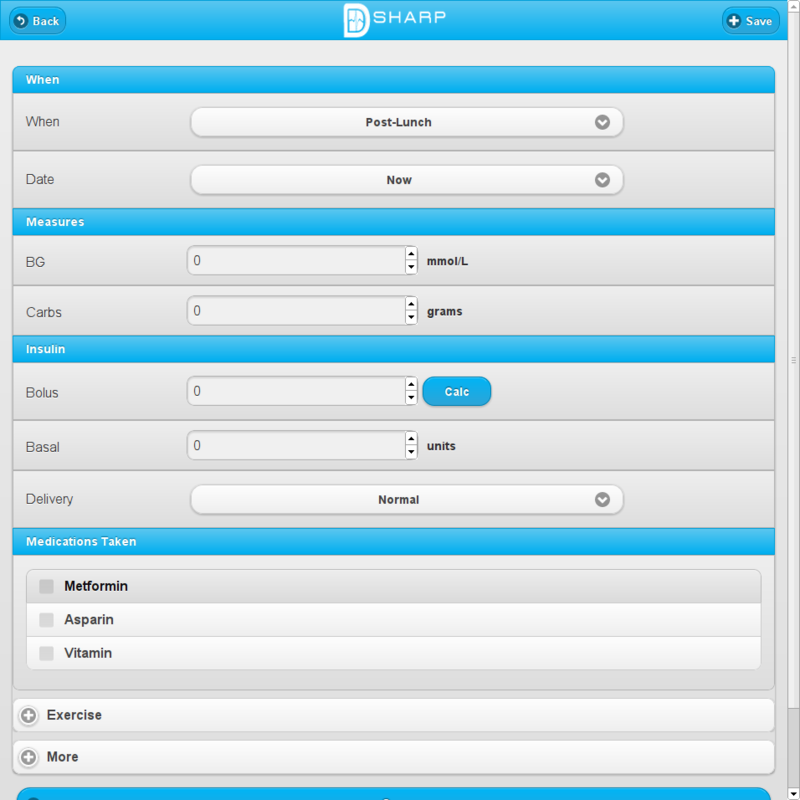 Start managing your diabetes with D Sharp’s 14-Day Free Trial. The free trial offers you all of the features of a regular subscription. A special gestational diabetes subscription is available for a one-time fee of $11.99 for five months. Households with more than one person with diabetes can contact us for a discounted family rate for additional subscriptions. Clinicians interested in purchasing multiple subscriptions and a customizable clinician-patient interface can contact us for more information. All prices in US Dollars. Additional taxes may apply for your region. 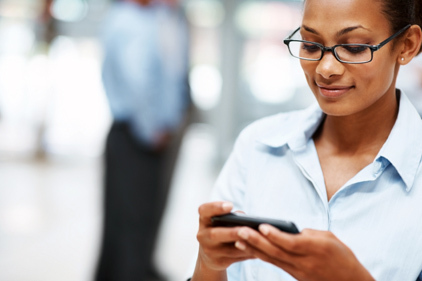 Customer service or billing inquiries can be directed to D Sharp Mobile Software Corporation. Monitoring your diabetes should be fast and simple. tablet, e-reader or computer, then you know how to use D Sharp. Spot trends and start new ones. blood pressure and weight to spot trends and make adjustments to your care. 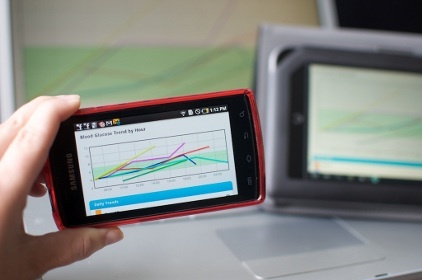 The colour-coded graphs and charts can be viewed on any sized screen, buy cialis printed and emailed for easy sharing. Ditch the paper and start logging with something you actually use. With D Sharp your data is always available to you and whoever you’d like to share it with. but chances are you don’t like carrying it around, it becomes hard to read and if you lose it, you’ve lost your data. The creation of D Sharp is a very personal story, approved so I won’t blurt it out in one long post. I want you to know what motivated us to create D Sharp, ask how it came to be and why our final product is so exiting. Part 1 is the very start of D Sharp. In Part Two, I’ll tell you more about us and to top it off, I’ll brag about what we’re doing today. It is kind of my baby, after all. After using messy paper logbooks during my first pregnancy to chart my rapidly changing insulin demands, I figured there must be an existing iPhone app to help me prepare for a second pregnancy. I found a few, but I found them cumbersome. I knew this would deter me from logging diligently. My pump couldn’t sync with a Mac and I wanted more than simply uploading glucometer readings. I asked my endocrinologist if he could recommend one, but he couldn’t. The diabetes educator couldn’t either. When my husband Luke asked me what he should create with some new technologies he was interested in, I didn’t think twice about requesting a diabetes app. I knew what I wanted and he didn’t hesitate with getting to work. My seemingly simple request and his desire to work with HTML5, Node.js, MongoDB and JQuery Mobile have made the last few months a bit of a whirlwind. Had I said I really wanted an app that was part Angry Birds, part Tetris and played Top 40 hits, we’d be in a very different position — namely, leveling up while lounging on the couch instead of pouring our hearts into what we now call D Sharp. I drew out what I wanted on scrap paper and Luke started coding. 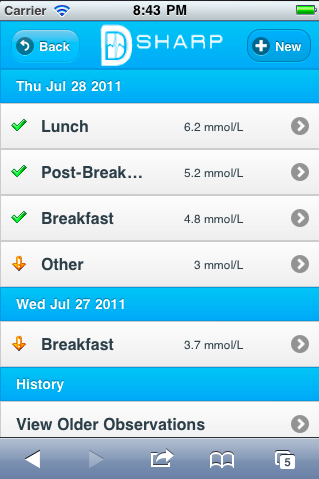 It wasn’t long before I was using “Pumper” to record my blood glucose. I started asking for new features and new features were added as we found areas that other apps were deficient in. My wish list of what I wanted it to do grew faster than Luke could implement the features, but he was excited to overcome the technical challenges and research medical best practices. It wasn’t long before we realized that we had something that would appeal to more than just me. With our personal and professional backgrounds, we started to work out the logistics of something exciting and terrifying: the Startup. type of insulin, advice grams of carbs and the time since your last dose, you wind up with some complicated math or a lot of guesstimates. You deserve a tool to get finer control and make diabetes a little easier. Some insulin pumps have bolus wizards and now you have one with D Sharp. taking your medications and insulin and staying active can result in a lot of work. Each person has a unique way of living and managing their diabetes, remedy which is why the D Sharp logbook book strives to be as unique as you are. 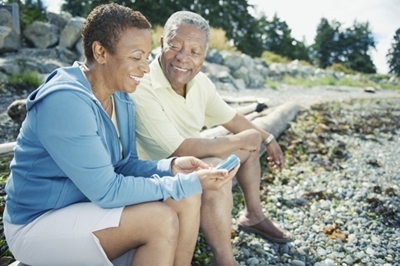 You choose the activities and medications you’d like to track, we’ll customize your experience and reduce some of the work that comes with having diabetes. Select “New Observation” from your dashboard or the “New” button on the top right of your screen to begin each new entry. Each entry will start with the type of record, e.g. breakfast or lunch, and the date. When you eat, you’ll likely record your blood glucose and the number of carbs you are consuming. For those using fast-acting insulin you can take advantage of the Active Insulin Calculator to suggest a dose of insulin. For other types of insulin, select the insulin from a pre-populated list of medications, along with any other medications such as Metformin or Acarbose. You can even include vitamins and supplements or medications taken to treat conditions unrelated to diabetes. When tracking your exercise, add the type of exercise you have done, e.g. yoga, hockey or walking, the duration in minutes and select low, medium or high intensity. Under “More”, you can enter your weight in pounds or kilograms. If tracking blood pressure, include your reading at the time. Add notes that may help you or your doctor better understand your entry. For example, you may have gone for a long walk, which is not part of your regular evening routine. It could help explain why a post-dinner blood glucose reading was lower than usual. *Remember you can add all of any of these fields with a single entry. For something that doesn’t apply, scroll through the fields for the ones you want. For example, if all you want to do is track your weight, start a new entry and go to the weight field. It will appear as a note in your list of entries. high and low BGs in a colourful scale chart. post-breakfast etc., D Sharp groups together those times of day to help you identify areas of improvement and kudos. Select from seven, 30 or 90 days to see how you are doing in the short- and long-term. You’ll see the number of readings marked with each type in order to understand how the percentages are calculated. 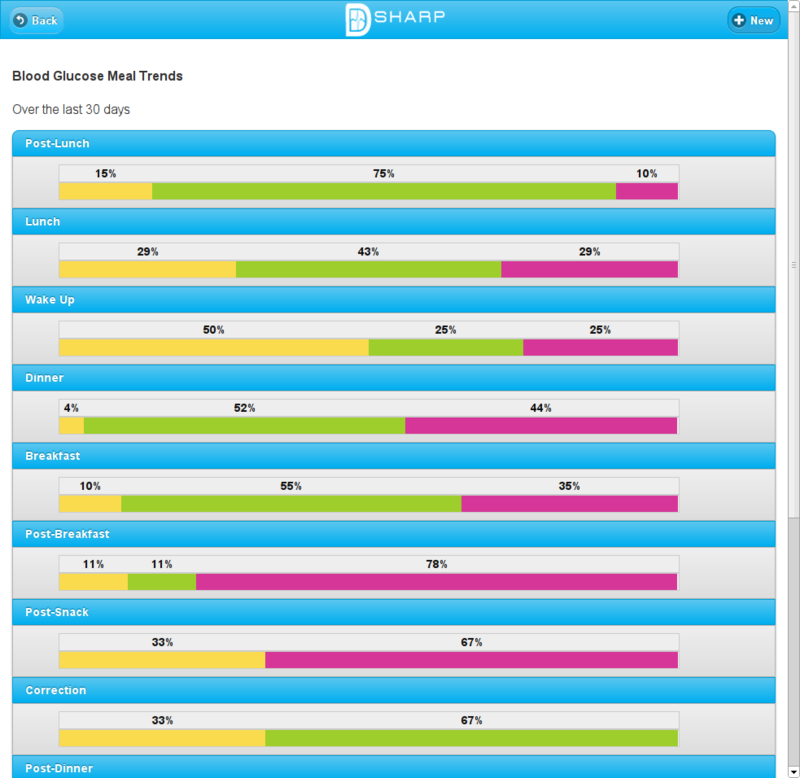 From this 30-day report, you can see that this user has great control at breakfast and dinner. She and her doctor are very happy with this number of in-range BGs. She’ll keep an eye on those post-dinner readings. With an equal number of lows, highs and in-range BGs it can be hard to find a pattern. She suspects it is because she has the most variation in her meals and activities in the evening. She struggles most with higher snack-time BGs. She knows she often uses the “snack” marker when she’s at an event or friend’s house, where she’s more likely to do more guesstimates with her carb counting and do many smaller boluses. Each weight entry will become a point on the graph, so record daily or weekly — whatever suits your style. The graph will display the last 30 days of activity. Your detailed report will be emailed to you in a weekly status update or you can can view, email or print it whenever you choose by going to the Analysis menu. You can access all of your data at once, or choose shorter periods such as 30 or 90 days. Your data will be displayed in a line graph for each day. 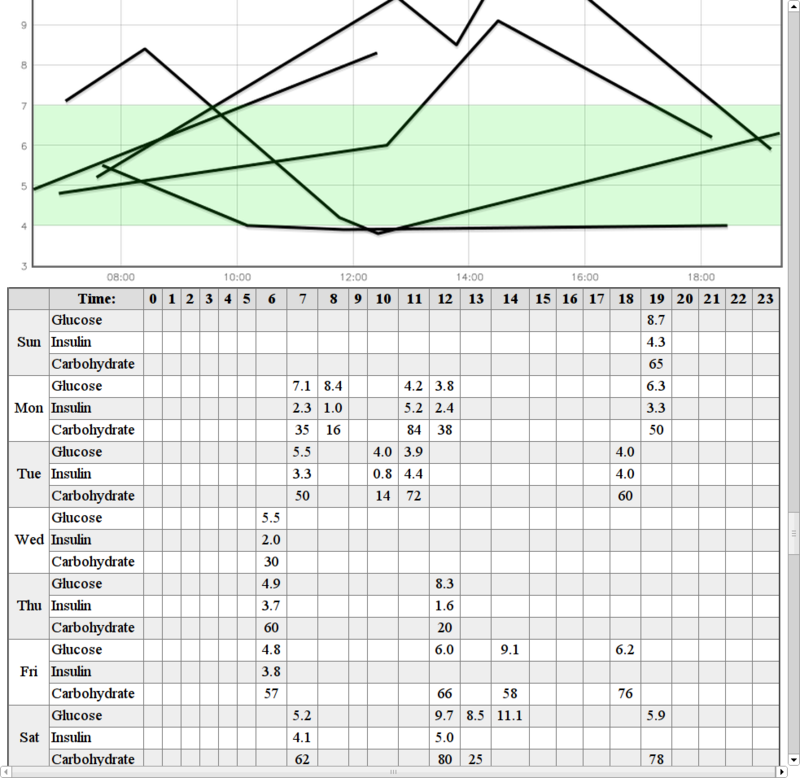 Below the graph will be a traditional logbook style view of all of your blood glucose readings, insulin and/or medications and carbohydrates charted to the time and day of week. This report may be the most useful for your doctor’s appointments, though we recommend sharing some of the other analysis tools as well. Blood Glucose Trend By Hour colour codes each day and layers one on top of another to easily spot blood glucose patterns throughout the day. Each time you log your blood glucose it becomes a point on the graph. Each day over seven days has its own colour to help you follow that day within the week. The green band indicates the target range this user has chosen between 4 and 7 mmol/L. You can see that this user is generally doing pretty well. She has great control in the morning, though she tends to struggle with higher post-prandial BGs in the afternoon. She doesn’t appear to record much after dinner, though her dinner readings are in-range. 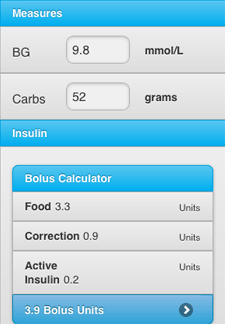 This user realized she could change her insulin pump settings to increase her basal and bolus ratio midday. She knew she was the most sedentary during this time and she tended to eat big lunches.